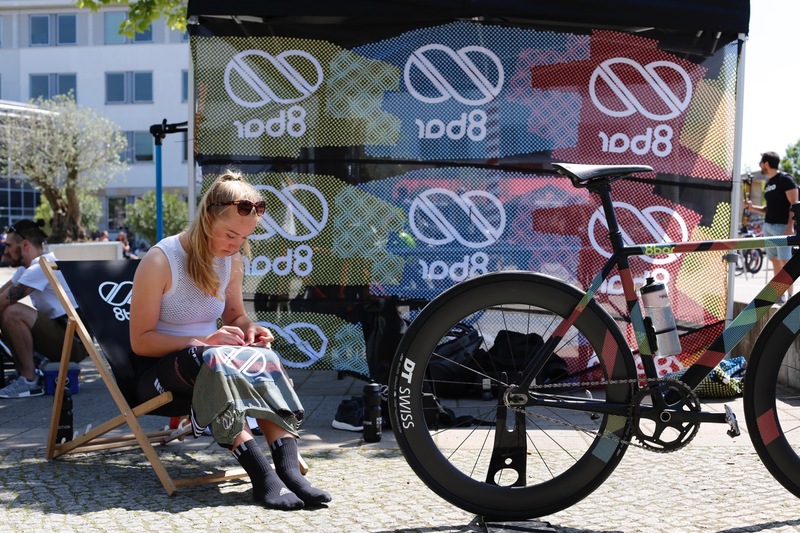 Rad Race Fixed 42 – Nico takes the first win in a solo break ever! The Rad Race Fixed 42 World Championships is a very special race each year. 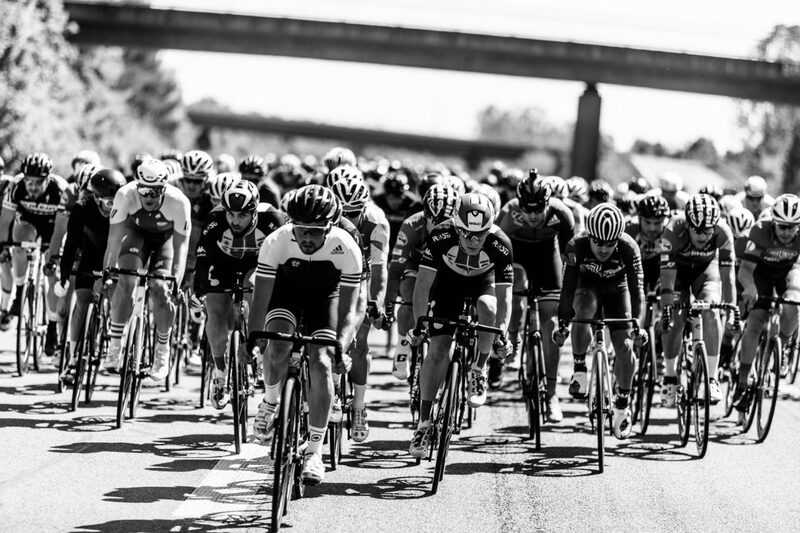 Being very fast only the strongest riders survive. 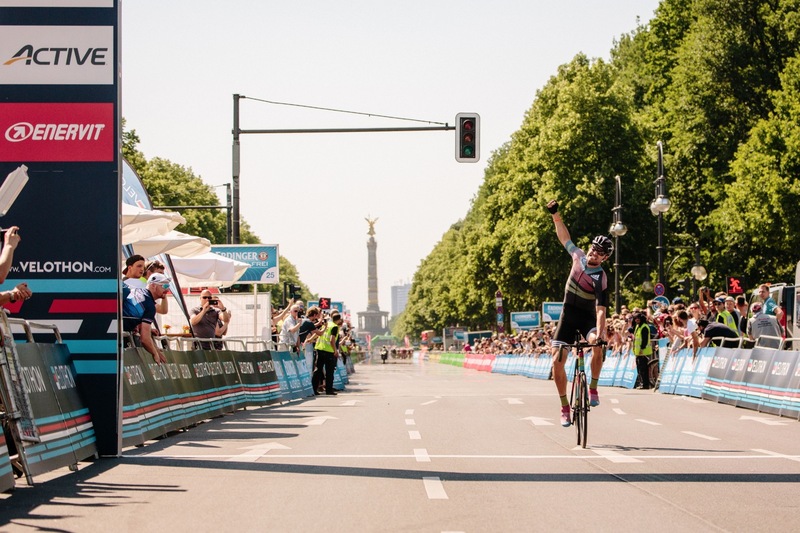 In cooperation with the Velothon Berlin, an amateur cycling race, the course was set to 42km. Starting in Ludwigsfelde just outside of Berlin, then going on the Autobahn and last but not least riding through the heart of Berlin. All roads were specifically closed for a very unique race experience. 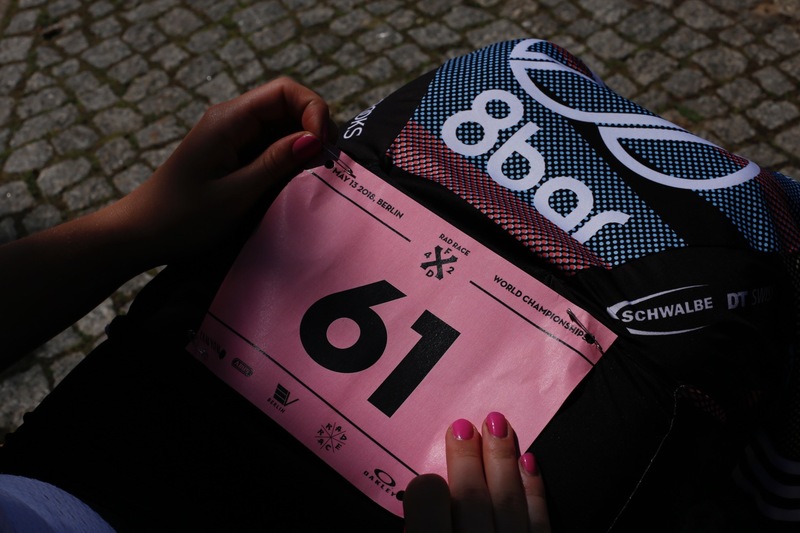 This years edition had about 650 people starting in a men’s and a women’s category. Six hundred fifty! 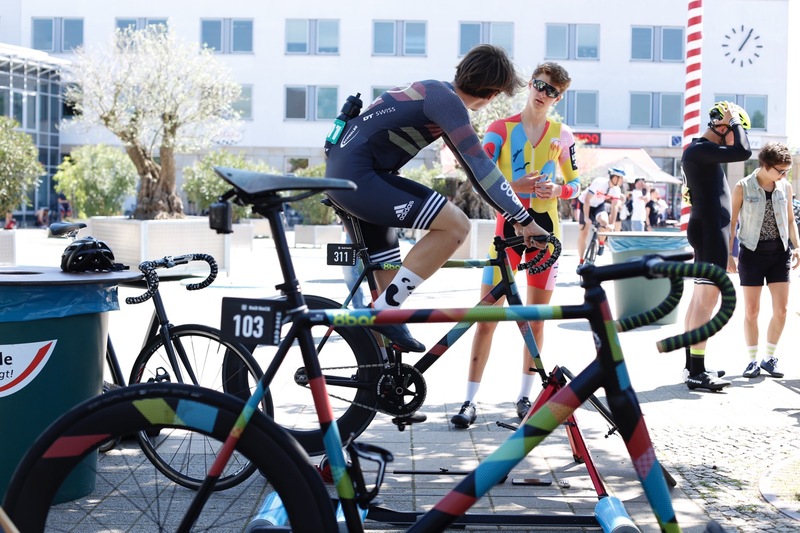 Which makes it the biggest fixed gear race of all time. 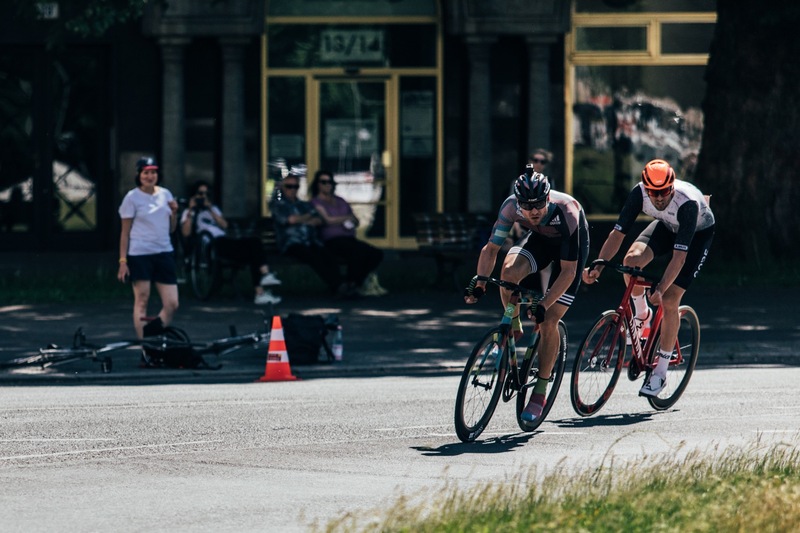 Although it was super windy the race speed was high from the very first meters and when the riders hit the highway the mark was up to 50 km/h and more in the men’s race. For the women the average speed was a whopping 38 km/h. 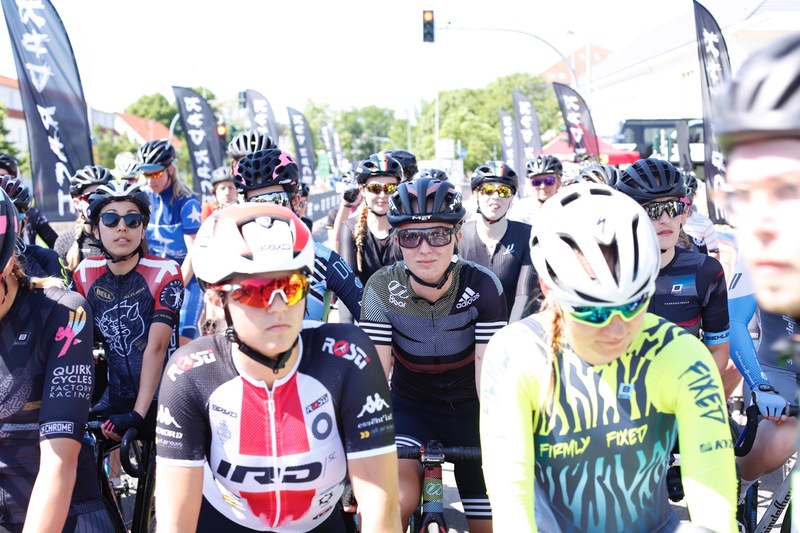 Riding on wide streets in a mostly straight line the race offered the chance to go for something which isn’t so easy on more technical courses: dedicated team tactics! This caused multiple teams sticking together and the riders themselves supporting each other. One team after another attacked and formed breakaways upfront. 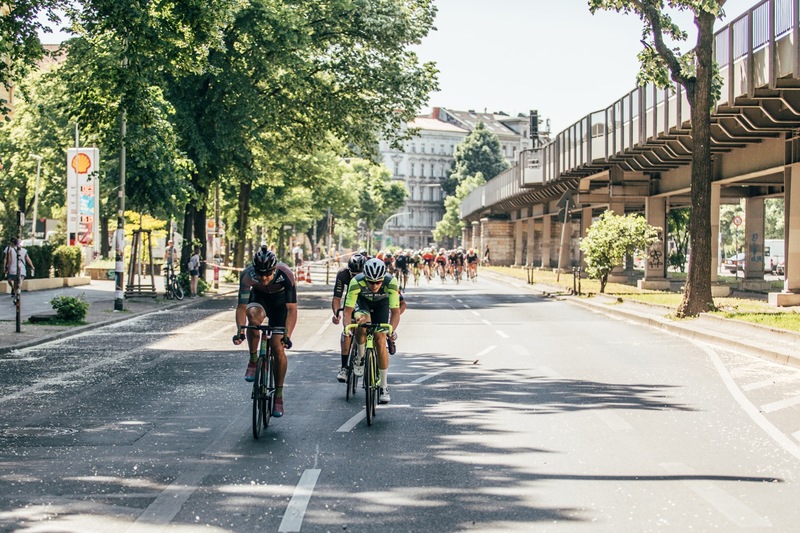 The peloton though did not let any attack succeed until the pack had already hit Berlin. 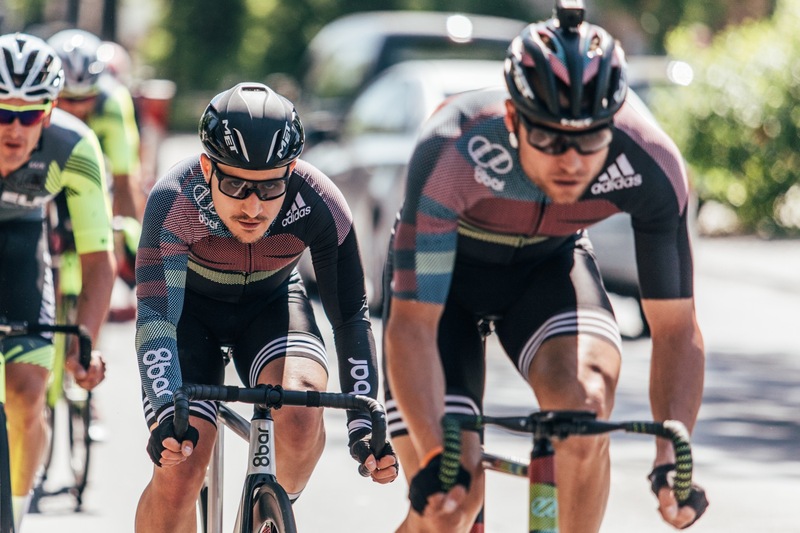 The 8bar team with riders Nico Hesslich, Martin Reinert and Fabian Schnaidt were in a good position and Nico took the chance to ride the final attack with around 10km to go. Out of this group there was only Fritz Ferner of Canyon Rad Pack who was able to follow for a while. But when Nico realized that Fritz doesn’t want to lead anymore he took his chance and increased the speed even more. Fritz wasn’t able to follow any more. With still 5km to and a gap of around 30 seconds Nico couldn’t even relax once. 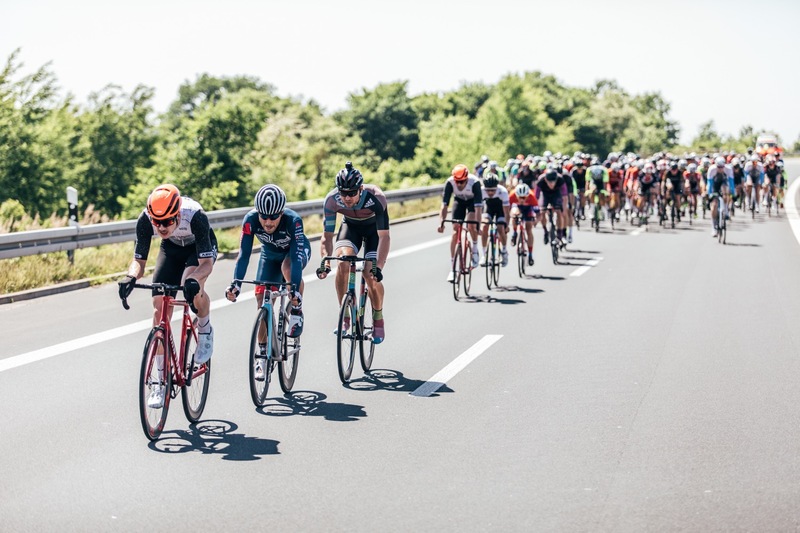 Luckily the remaining teams in the pelotons didn’t work together and the remaining 8bar team riders slowed down the peloton so that the gap didn’t become any less. When Nico went on the finish straight with around one kilometer to go it was clear that the peloton was too far to reach him. 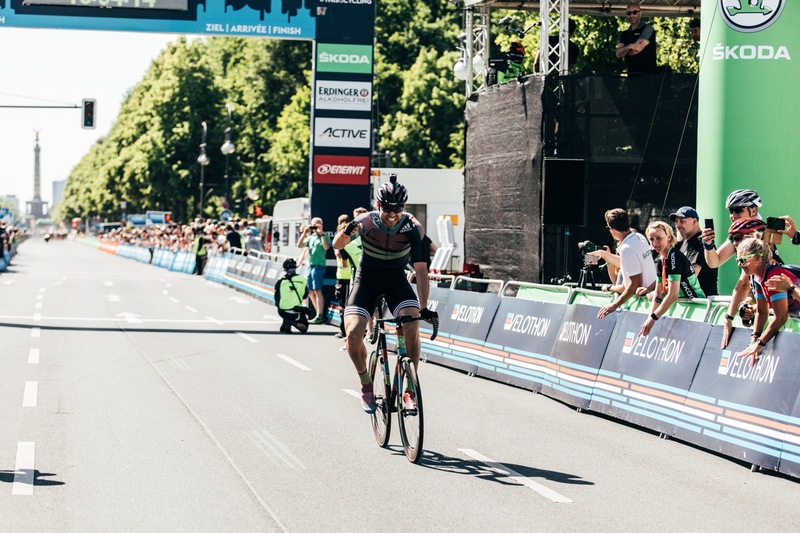 With a monster effort he was able to secure his 21-second gap to the next riders all the way up to the finish line and took an incredible first place. For the first time ever indeed a rider won in a solo break-away. What can we say? Chapeau, Nico! 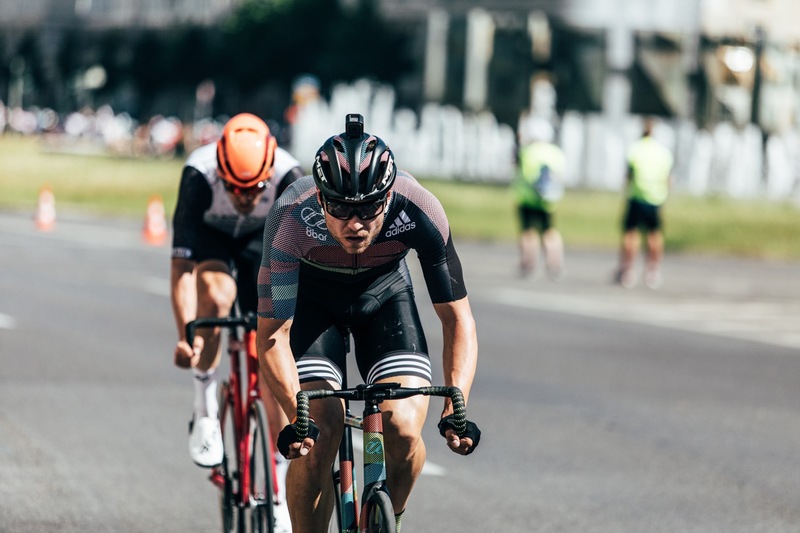 You are a beast on the bike! Oh… and Fixed 42 World Champion! 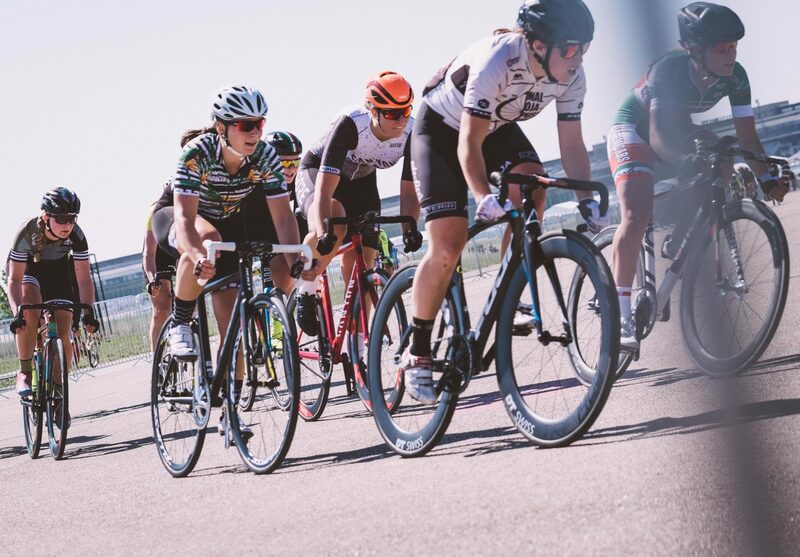 Isabel Tambach was able to ride the front group in the women’s race from start to finish, securing a tremendous 8th place in her first time riding the Fixed 42. Our 8bar rookies as well had a good day containing both fun and pain. Bob Wubben from the Netherlands was even leading the first lead group for a while and ended up on a fantastic 26h place. 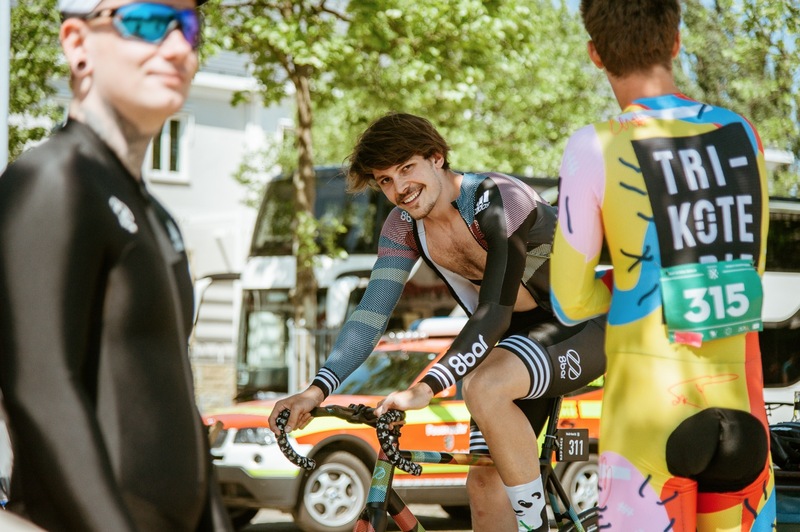 Asaf Lanzer made it to place 73, Rick Zeibig 171st, Daniel Rosas 190th, Ruben Bernier 197th, Daniel Wirges 309th, Lionel Gaillard 334th, Heiko Plümer 345th and Marcel Bomsdorf on 363th. A special wish goes out to this gentleman below, our rookie Alex Knötzl. He came all the way from Vienna with an incredible excitement for the race. Unfortunately he was involved in a crash on the Autobahn and as a result broke his collarbone. We wish him all the best and a quick recovery. Hopefully we can race again together rather soon than later! 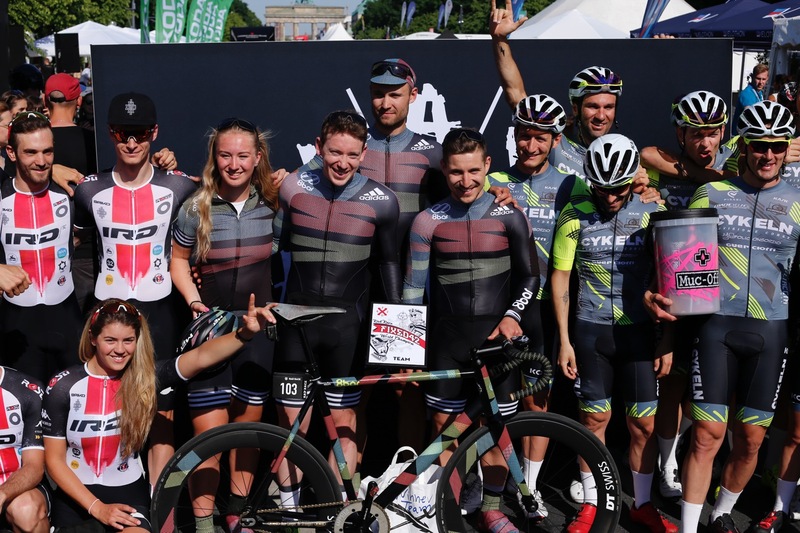 To end on another positive note though we are proud that all 8bar team riders together won the team ranking as well being the best racing team of this years Fixed 42 World Championships! A big thanks to Rad Race for once again organizing a rad event! Over and out.